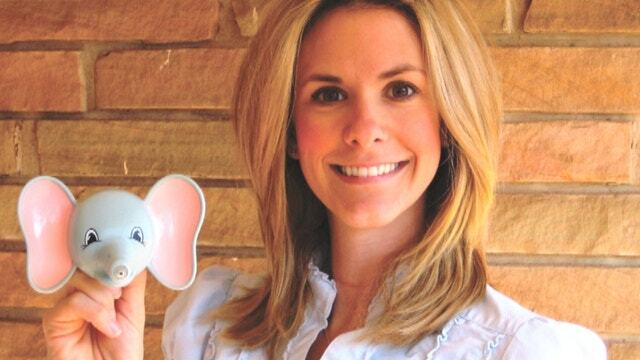 FOXBusiness.com’s Kate Rogers with Tiffany Krumins, creator of Ava the Elephant, on her journey from mom to entrepreneur. Tiffany Krumins’ “big idea” came to her while volunteering alongside disabled children. A little boy with severe issues with taking medications and having his hair cut was calmed down just by having stuffed animals nearby. She then saw a casting for ABC’s hit T.V. show, “Shark Tank,” and applied to pitch her invention to the investors on set. With her clay dispenser prototype and evident passion, Krumins became the first woman to receive an investment on the show from real estate titan Barbara Corcoran. But soon after, in 2010, she was diagnosed with thyroid cancer, soon after giving birth to her first child. But rather than throw in the towel on her business plan, this mompreneur says she drew on the strength she had seen in her own children patients, including cancer patients she had volunteered for during her career. The move paid off, and then some. AVA the Elephant is now sold in more than 10,000 stores across the country, and recently surpassed the $1-million mark in retail sales, just a little over a year after being taken to market. Today, she is cancer-free and has one daughter, Annabelle, 4. Krumins is also expecting a second child with her husband. “They are all medical devices, one of which will bring down the cost of health care and save a child’s life,” she said. However, she will not be subject to a medical device tax under the Affordable Care Act, because the manufacturing will be done through a separate company and she won’t be selling directly to hospitals. While the exposure she received from “Shark Tank” was undoubtedly helpful, Krumins said she still largely paved her own path to success with Corcoran as her mentor.